About Us - Guyra Chamber - Guyra welcomes you, Accommodation, Restaurants, Events, Business Directory, Community Directory. 2017 New England North West Business Awards Finalist. 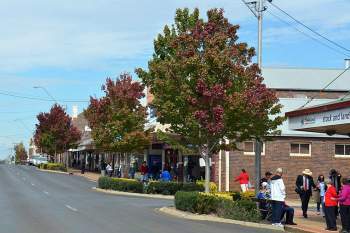 Guyra and District – a vibrant, thriving and prosperous business community. 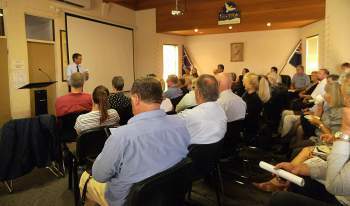 To provide advocacy, development and networking opportunities to the Guyra and District Business Community to support sustainable growth and make it easier to do business. Empowerment - We value and empower people with shared responsibility to encourage equal opportunity and access to expertise and knowledge, to provide opportunities for constructive communication and sharing of information and decision making. Passion - We remain enthusiastic, motivated and committed to growing Guyra and District. Collaboration - We develop and maintain positive engagement with our stakeholders to promote shared understandings, visions and solutions. Integrity - We demonstrate honesty and sincerity in all our dealings, upholding the highest ethical principles to provide open and transparent communications to create informed opinions and decisions.